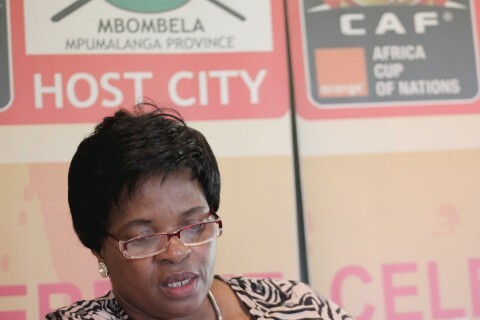 NEW CAPTAIN, SAME OLD SHIP: Mbombela executive mayor, Cathy Dlamini said she was a specialist in monitoring and evaluation, now she says she’s just a politician. New allegations of tender rigging linked to the Orange African Cup of Nations (AFCON) 2013 soccer tournament held at Mbombela earlier this year have emerged. The latest allegations follow shortly after this newspaper published a story about a company that was paid R1,5 million for advertisements which were purportedly flighted on community radio stations in the province. An investigation by this newspaper, however, found that none of the mentioned radio stations received any request for quotations, let alone the advertisements. In the latest incident, a further investigation by this newspaper discovered that the municipality’s own bid adjudication committee (BAC)refused to adjudicate on at least two tenders after its members noted that bid documents of at least five bidding companies had been tempered with. “Sequential numbering stamp on the bill of quantities is not available, therefore it is assumed that the document has been tampered with and pages were replaced with new pages,” the report notes. In the tender for the “provisioning of catering for AFCON 2013 volunteers” (BID NO 122/2012), a catering company, Lephlina Catering (Lephy’s Catering), had reflected a bidding price of R128 495 in the bill of quantities, but the amount that is reflected in the municipality’s bid closing register reflects an amount of R202 000. In the same tender, another service provider, Delta Blue Trading 67, had a bid price of R100 890 in the bill of quantities inflated to R214 890 in the municipality’s bid closing register. In another tender for the supply and delivery of AFCON marketing material (BID NO 123/2012), the BAC noted that the sequential numbering stamp on pages 04, 08, 09 and 10 was not available in all the bid documents for three companies that responded to the tender. The companies concerned are NMZ Communication, Busisani Trading and Oxyaya Trading. The value of this tender is not specified, however, almost R10 million was spent on marketing, and according to information at our disposal, none of the three companies whose bid documents were tempered with got the contract. The bid adjudication committee resolved not to adjudicate on both tender. “Based on the discrepancies as indicated in (a) and (b) above, the committee is of the opinion that the information has been compromised to the level that no informed decision can be made,” the report states. The BAC also recommended that the municipal manager, Xolani Mzobe investigate the discrepancies. “The bid adjudication committee resolves that the accounting officer conduct a full investigation on the alleged tampering of bid documents,” says that report dated 10 January 2013. Seven months since the report was made, however, there is still no investigation into the allegations. Instead, Mzobe lamented in his submission to the Mbombela council sitting on 28 June this year that this report was leaked to the media. “We are (sic), however, noted sensitive 2013 AFCON information was leaked to a number of media houses,” said Mzobe in his submission to the council meeting. The municipal manager also made a submission to the council to condone the municipality’s deviation from the supply chain management (SCM) prescripts and the municipal finance management act. “Recommendation by the municipal manager [is] that the deviations associated with the 2013 AFCON tournament, as a result of the delay in the transfer of funds as set out in the report, be condoned,“ Mzobe said in his submission. 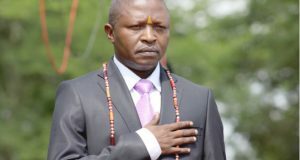 Mzobe, however, did not disclose the fact that in the case of at least two major tenders, the deviation could not be attributed to the “delay in the transfer of funds to the municipality by national treasury, but to potential fraudulent activities within the municipalities. What is bizarre, however, is that Mzobe’s motivation to the council for the deviation from the municipality’s supply chain management was only made following our media enquiry on 5 June 2013, to the municipality and the province’s department of finance. Both organizations have still not responded to the enquiry. 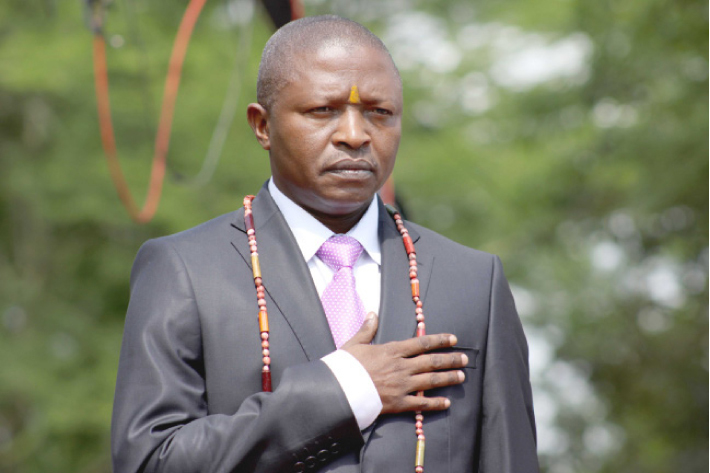 Mzobe was appointed as municipal manager in July 2012, and was required to report deviations at every next meeting. The owner of one of the companies whose bid documents were tampered with, according to the BAC minutes, Lephlina Ngwenyama, told Ziwaphi she was not aware of the tampering. “I’m not aware of anything, I’m not working there. 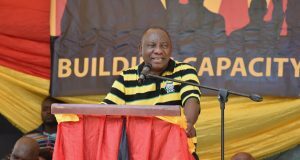 I assisted the company that got the tender,” said Ngwenyama. Ngwenyama declined to provide the name of the company that got the tender, except to state that the owner of the company was Sphiwe. Ngwenyama called this newspaper after a couple of minutes and threatened legal action if her name and the name of her company mentioned is published in the newspaper. Our further investigations, however, later revealed that at her company, Lephy’s Catering, was also awarded an AFCON-related tender, BID NO 121/2012 for catering to the tune of R562 500. According to information at our disposal, the company was awarded a contract to provide catering for three AFCON 2013 matches for 500 people per match at the presidential suite. One of the three matches, however, was a double header, but it was treated as if the people who were being catered for on the day were 1000. According to information at Ziwaphi’s disposal, the company charged the municipality R375 per plate. Mbombela executive mayor Cathy Dlamini said that the municipality would only take action if an audit report proves that there were irregularities. “One of the requirements of AFCON as part of the FIFA agreement was that a report before it is submitted to AFCON, it must be audited. All the questions that you are asking me today I may not have answers to them today, because we have not done that. We are in the process of doing it,” said Cathy Dlamini, during a press conference following her state of the municipality address last Thursday. Dlamini, who was appointed by the African National Congress as the executive mayor for the municipality following the local government elections in 2011, distanced herself from the operational activities of officials of the municipality. “We are politicians, we take decisions and those decisions are implemented by our administration,” she said. This was in stark contrast when she called the media to gloat that the municipality had been given the biggest chunk of money from national treasury, R31,5 million.